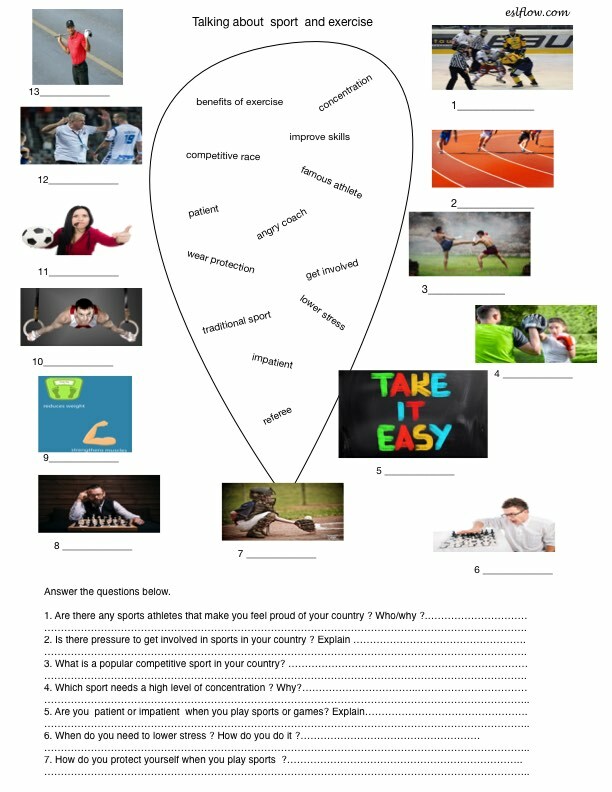 Talking about sport vocabulary activity and questionnaire for ESL classes. Learning and understanding the language of sport is a fun way for English language learners to improve their vocabulary. Many expressions and phrases used to talk about different sports can also be applied to everyday life. This is a discussion and vocabulary exercise to help students learn or review common sporting vocabulary. Click on the image of the worksheet below or the link to download the PDF file.